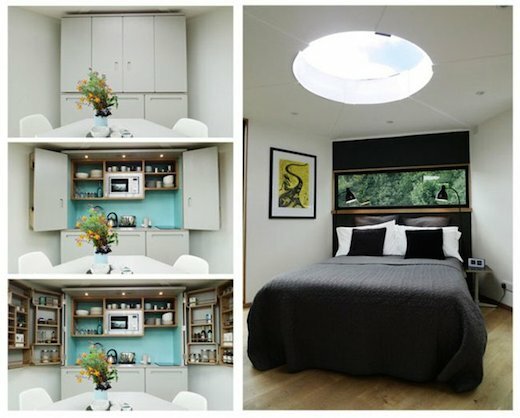 UK-based Hivehaus, led by designer Barry Jackson recently unveiled their first modular home, also called Hivehaus, which is a modular home inspired by the hexagonal shape of the beehive. 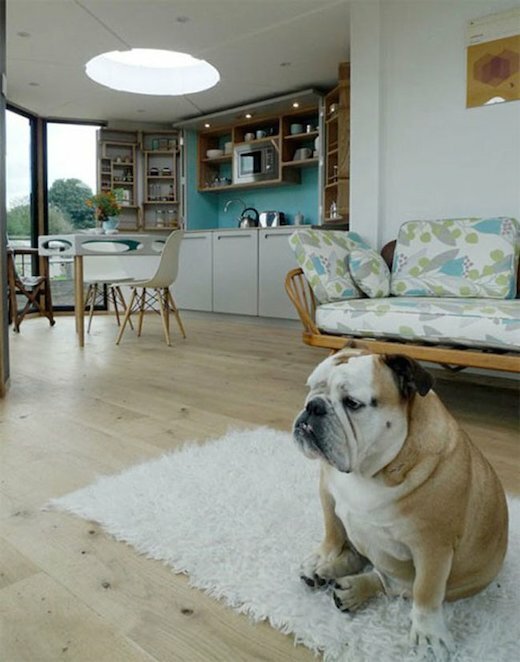 The basic unit becomes a simple, tiny home, but it can also be expanded on any of its six sides to form a unique and spacious family home. 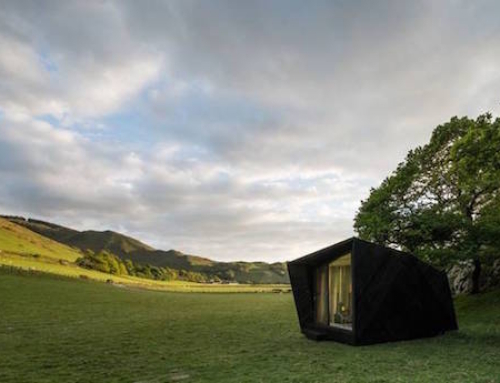 When ordered, the Hivehaus arrives as a flat package, and the house can be assembled by only two people. Each Hivehaus has an internal floor area of 9.3 square meters (100 square feet), and is 2.5 meters (8.2 feet) high. 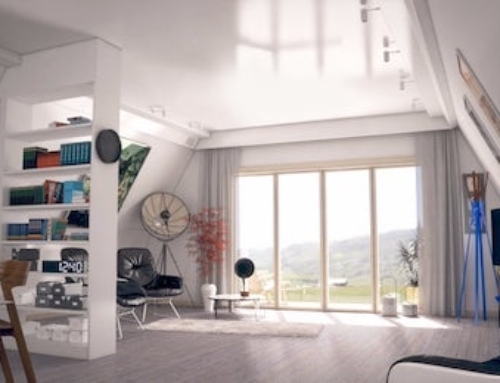 Each of these units can be customized as a kitchen, living room, bathroom, bedroom, study, etc., though a single unit can also function as a tiny home. The internal separations can be made using uniform internal partition walls and doors. These can also easily be removed in the event that a different floor plan is desired by the owner. 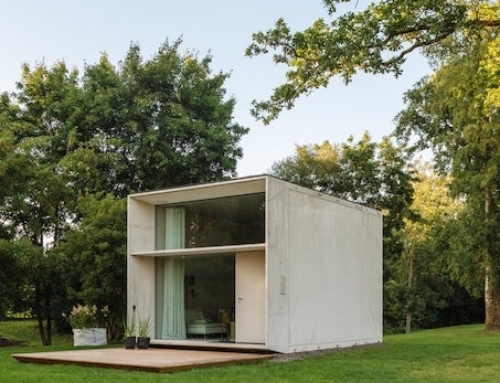 One of the main advantages of Hivehaus is that it doesn’t require a concrete foundation. However, concrete or gravel retention pads or ground screws are welcome. 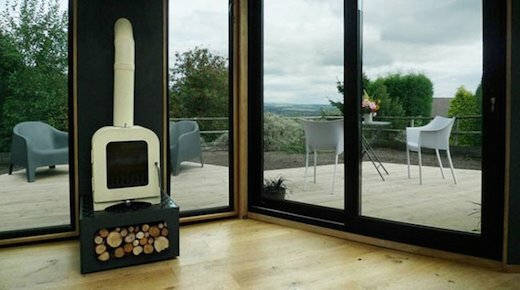 The Hivehaus also features adjustable legs, which makes it perfectly suitable for installation on varied or difficult terrains where other types of construction might be impossible or costly. The Hivehaus also lends itself perfectly to off-the-grid living. 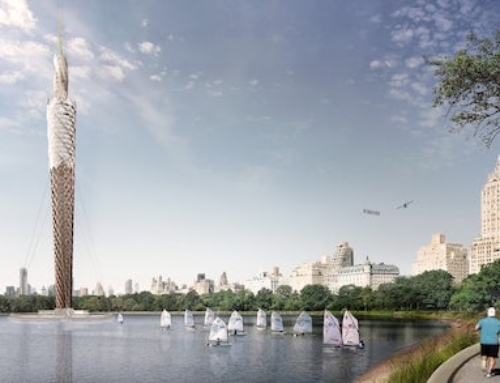 It comes with optional features such as a solar panel array, a composting toilet, and a rainwater harvesting system. 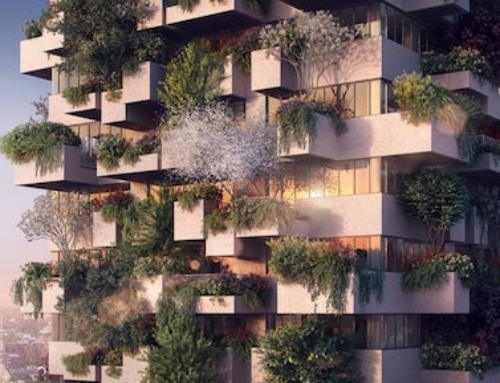 It can also be fitted with a green roof. 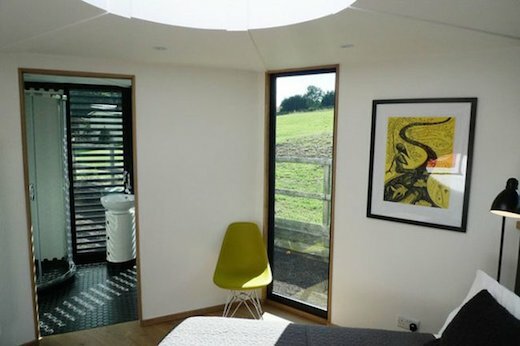 Each of the Hivehaus units are entirely self-contained, and the owner can also choose to have a circular skylight installed, which allows ample sunlight to enter the home. 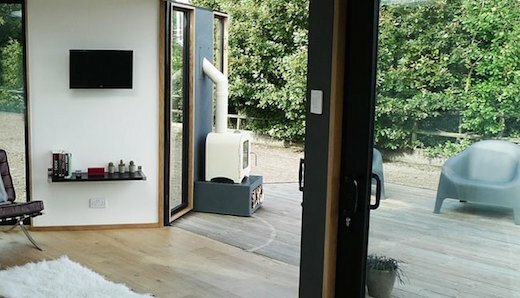 These units also feature a moveable “fire wall” with a small woodstove attached to it, which can be installed on the outside of the Hivehaus and which opens out to a hexagonal-shaped wooden deck, effectively extending the living area of the home. 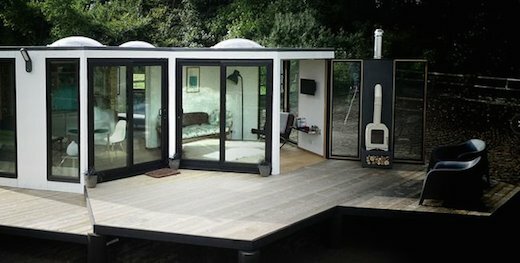 The Hivehaus is currently available in the UK, but the company plans to make it available worldwide by the end of 2014. The current model also requires that approved installers set it up, though he company has plans to begin offering a DIY version next year.